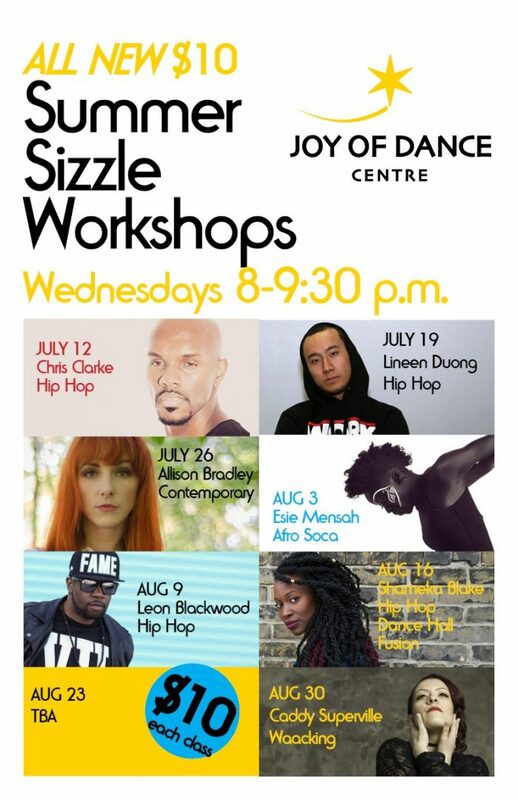 Special workshops happening every Wednesday 8-9.30pm this summer! Different teacher every week! $10 per person!